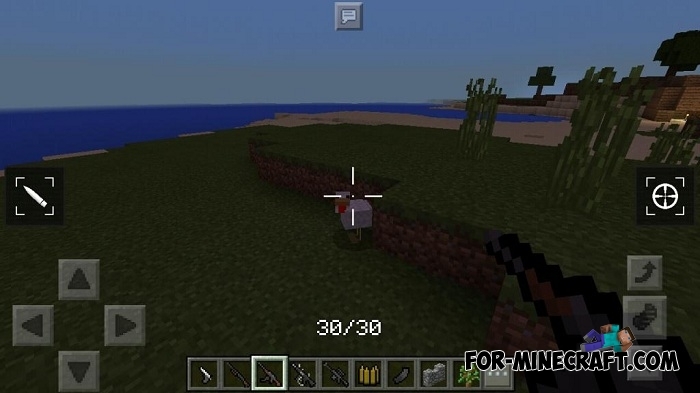 Have you ever created your own weapon in Minecraft Pocket Edition? If you are a modmaker or would like to add a unique weapon created by you for the sake of interest, then you will need ready Shoot library. Simply put, this is a blank that can turn into any weapon based on your fantasies and preferences. This is a fairly flexible tool with which you can easily add absolutely any weapon with thematic sounds, the possibility of using sights, modifications and upgrades as well as cartridges, ammunition or rockets, depending on which weapon is used. 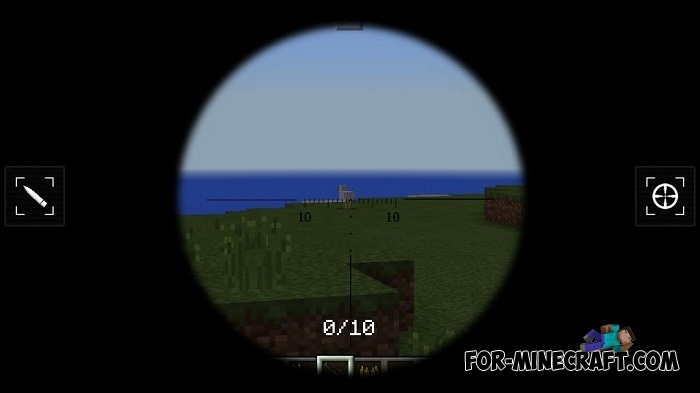 Create any weapon you want and integrate it into Minecraft. ShootLib is a great way to create weapon modifications without the use and knowledge of programming skills. 2. Copy the mod folder here: games/com.mojang/mods. Good afternoon, why "yu80lk", if "80LK". And why a gif image from APOCraft mod?